In this final chapter, Moore reprises the overall argument of the book including the evolution of personhood and its dependence on the entire set of structures and institutions that form a culture. He reiterates the need to understand how persons emerge at the boundary of biology and culture and how the uncertainty and dynamically shifting nature of today’s aspirational culture creates great difficulties for generating and sustaining personhood. 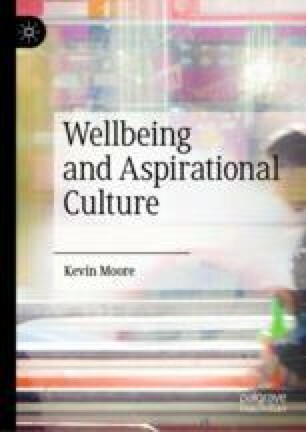 He ends with the optimistic suggestion that, as a culture, we need only aspire to creating the conditions for persons to live ordinary lives. All that is necessary for the wellbeing of persons and the maintenance of personhood can be gained from a non-aspirational daily life. Ishizuka, P. (2018). Social class, gender, and contemporary parenting standards in the United States: Evidence from a national survey experiment. Social Forces, soy107. https://doi.org/10.1093/sf/soy107. Sennett, R. (Ed.). (2006). The culture of the new capitalism. New Haven: Yale University Press. Retrieved from https://ebookcentral.proquest.com.